strengthening the resources of the University's humanities program. The Friends believes that learning, like friendship, is a lifelong experience which goes beyond the classroom. The Friends meets the needs of individuals throughout the region by fostering interest in cultural issues and learning in Acadiana. Beginning with 10 founding members, the membership of the Friends of the Humanities has grown dramatically. The organization’s success and rapid growth bear witness to its commitment to the continuous pursuit of knowledge and to its support of enriching the cultural life of Acadiana. 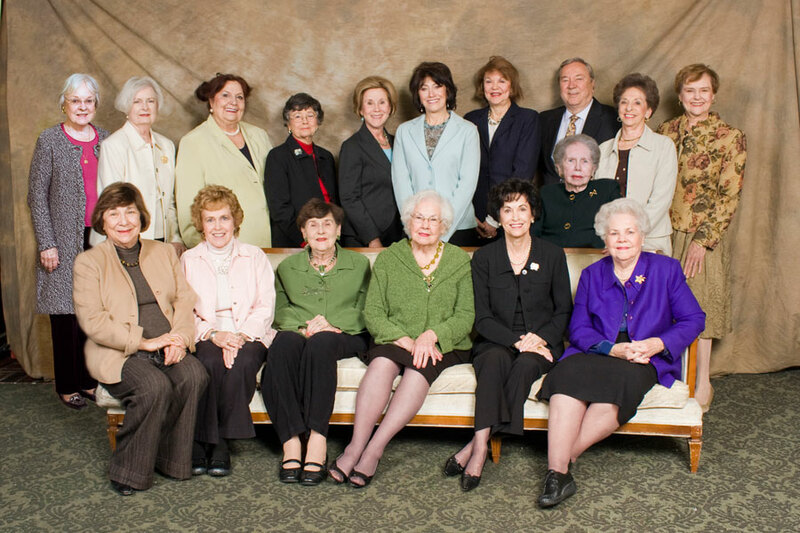 In 1989, ten women with a passion for the humanities and compassion for often underfunded professors took it upon themselves to form the Friends of the Humanities. The Friends sought to work with the University of Louisiana at Lafayette and a group of humanities faculty advisors to determine where their help was needed most. The Friends' initial goal was to support the humanities through the procurement of much needed educational materials. In 1990, the Friends of the Humanities made its first monetary contribution of $500 to supply a variety of needed multimedia materials. Their contributions have only grown since then. Since their initial contribution, the Friends of the Humanities have provided far more than funding for educational materials. The Friends have helped to fund a humanities resource room on campus, funded trips to international conferences, and created the Friends of the Humanities Endowed Professorship in Interdisciplinary Studies. In return for their continued support, the University has offered a wide variety of opportunities for the Friends of the Humanities members. Free on-campus parking, reduced tuition, and travel opportunities are only a few of the perks that members receive. This continued relationship between The Friends and the University of Louisiana at Lafayette, ensures that the humanities will continues to be recognized and supported. The members of the Friends of the Humanities are not only passionate about the subjects that comprise the humanities, they are also passionate about each other. Friends has a double meaning in their case: they are friends amongst themselves, and they also enjoy strong friendships with Liberal Arts professors who have worked closely with them over the years. It is not only for friendship or enrichment that The Friends work so diligently, however. It is for the students--their children , and grandchildren and relatives who have attended or will one day attend the University of Louisiana at Lafayette. Their true legacy is the strengthening of the liberal arts that are the soundest basis of a true education. The Friends of the Humanities has a long history of commitment to keeping humanities studies lively, exciting, and viable in the Community. So, who are the Friends of the Humanities? We are unique in Louisiana, a state that greatly needs the kind of generous support The Friends has given. We are unique in the United States and maybe in the world. We have found a way to benefit humanity and the Humanities, while having a lot of fun doing it. Perhaps that is the real secret to our success!